Packaging is primarily for the protection of goods. This is the primary issue for designers to consider. However, the packaging has been developed to the present day, its content is getting bigger and bigger, and its forms have become more diversified. The excellent packaging helps the display and sale of goods, facilitates consumer identification and purchase, and stimulates consumers' desire to purchase. Therefore, the packaging design is also referred to as "product marketing design." Packaging design has become a specialized category with advertising characteristics. The advertising elements of packaging design are also very important. Packaging and decoration must have elements of advertising. This article discusses the design of packaging and decoration from this point of view, explains the content that should be embodied in packaging design, and the problems that should be paid attention to when designing. The market research of packaging design is the key to ensure the success of commodity packaging design and marketability. It is also an indispensable step in broadening ideas and deepening ideas. 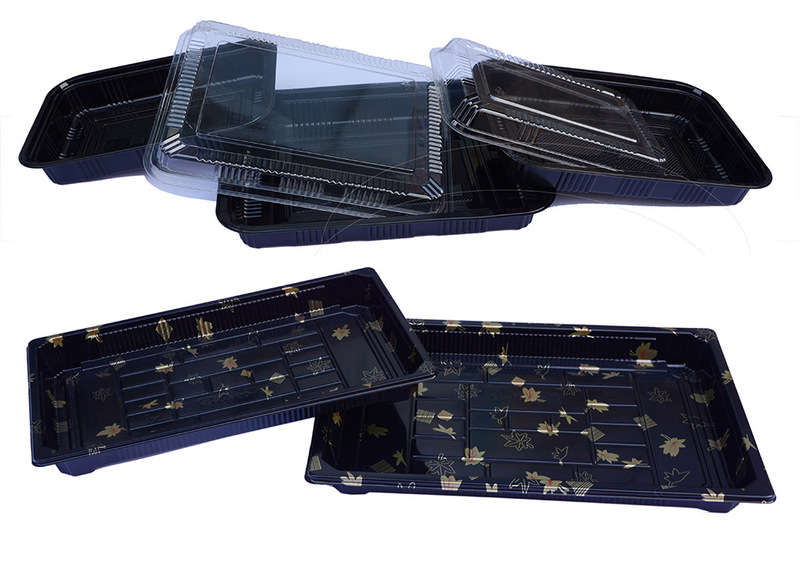 Understand the product and its characteristics in the production process, and choose a reasonable packaging material. Different packaging materials, decoration and design requirements are not the same; understand the packaging characteristics of similar products, especially the advantages and disadvantages of competitors, including the status quo of domestic and foreign packaging; understand whether it is special food, gifts, seasonal items and interesting items Etc. ; understand the reasons for the need to design new packaging, new product design, or the improvement of existing product packaging and improve the reasons? Is the product exported? What countries and regions are exported to? Where is the geographical environment, climate conditions, ethnic customs? What are the special interests and taboos? Understand the product's sales target and its users' gender, age, occupation, education, etc. ; understand the display format of merchandise sales: shelf display, counter display, special display, etc. ; in addition to consider some special issues, such as pollution prevention, Anti-theft, anti-breakage, recycling, etc. Understand the use of the product. Such as canned food, whether for family use or restaurant use? It is necessary to consider that it is necessary to facilitate the consumers, that is, the opening of the package and the preservation after use, etc. ; the size of the individual package of the commodity should be determined; the safety of the package during transportation and use should be considered; and the effective package life should be determined. Having mastered the characteristics of the market and products, the design department should comprehensively analyze and present preliminary ideas for product packaging design. The plan should include the specific measures to be taken, the intended effect of the product packaging, the required cost, etc., for decision makers to select. Different commodities have different characteristics, according to the nature of the product, shape, weight, structure, value and other factors, and planning requirements, choose the appropriate and effective materials. 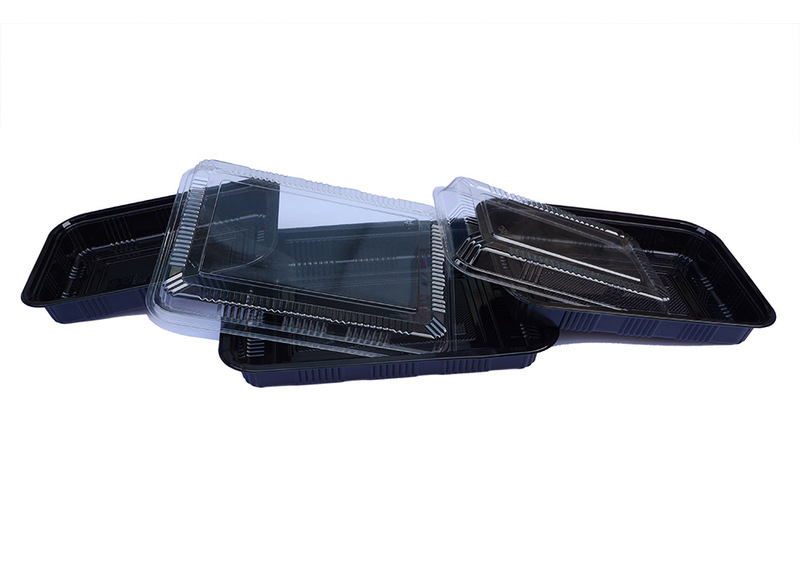 After the packaging materials are determined, the packaging design is designed from the conditions of the equipment for protecting the goods, facilitating consumption, facilitating transportation, and automatic packaging lines. As an advertisement, packaging and decoration design is the closest advertisement between a product and a customer. It is more intimacy and affinity than other advertising media far from the product itself. It can penetrate into every consumer home. The â€œpackaging advertisementâ€ propaganda is long-lasting. After some of the goods themselves are consumed, the packaging is retained. Therefore, the advertising effect and role of packaging should not be underestimated for consumers. We think that as long as the goods are good, the packaging does not care about 15 %. (3), "Packaging advertisements", "Ad taste" is less, and it is reassuring. (4) â€œPackaging advertisementsâ€ have a longer period of time as consumption enters every household. (5), "packaging advertising" manufacturers do not need to pay more advertising costs. In the design of packaging and decoration, sales packaging with the following basic features will make consumers feel good and willing to buy. First, decorate design to be generous. To achieve the perfect unity of image, text, composition, and color, the mode of expression is simple, clear, and prominent. Second, the text should be clear and easy to read. The description of the product packaging includes the functions, features, open methods, and precautions of the product, and is expressed in concise words. Third, the trademark graphics must wake up uniquely. A good brand will leave a deep impression on the customer at a glance; the location should be conspicuous. Fourth, the shape structure should be scientific and reasonable. The design, structure, and specifications of the packaging should be designed according to the method of use, the conditions of use, and the environment used. Fifth, packaging materials should be saved safely. The nature and specifications of packaging materials must meet the structural requirements of the product. 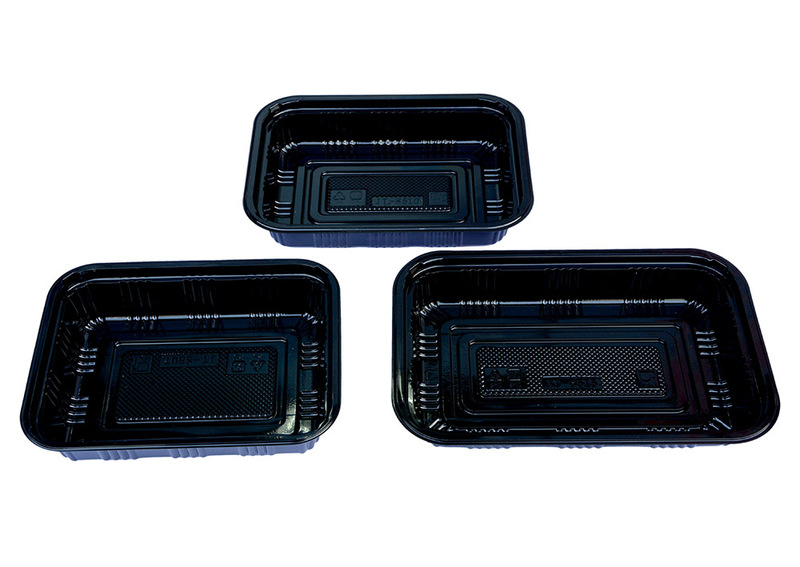 As other tableware, like Aluminum foil container, Paper container, Foam container, Plastic Tableware also can be classified with Round series and Rectangular series. 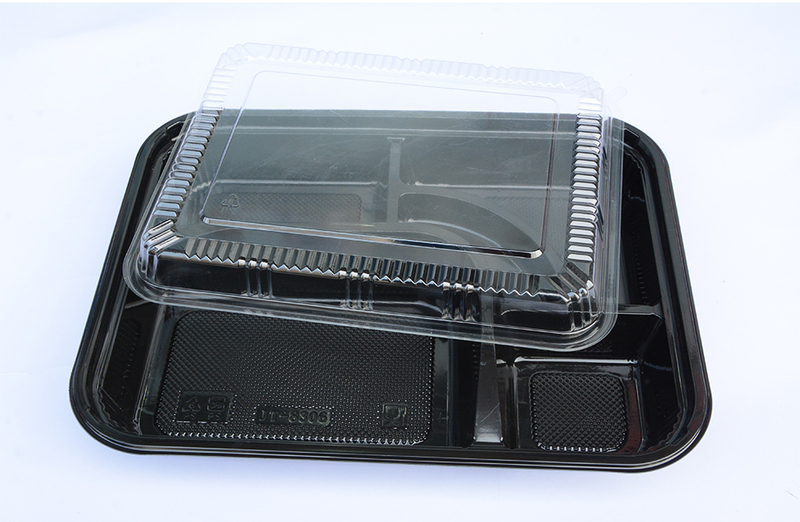 Our factory has passed ISO 9001 and we are specialized in the production of plastic Lunch Box many years, all our plastic Tableware can be certified by SGS. 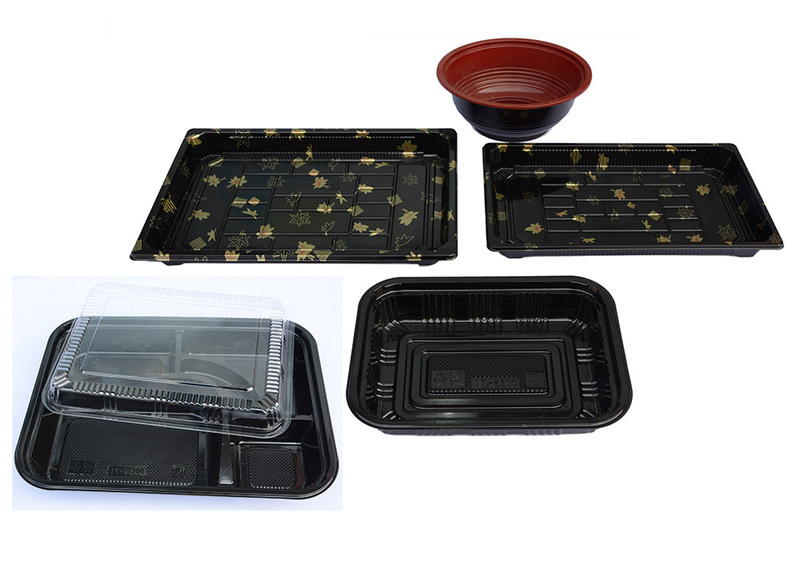 Our main products have a variety of specifications, square tableware, round sushi box, round container etc. In this catalog, we would show you partial Plastic Square Tableware.